This is a photograph from a news story in the St. Petersburg (Florida) Times of April 7, 1942. 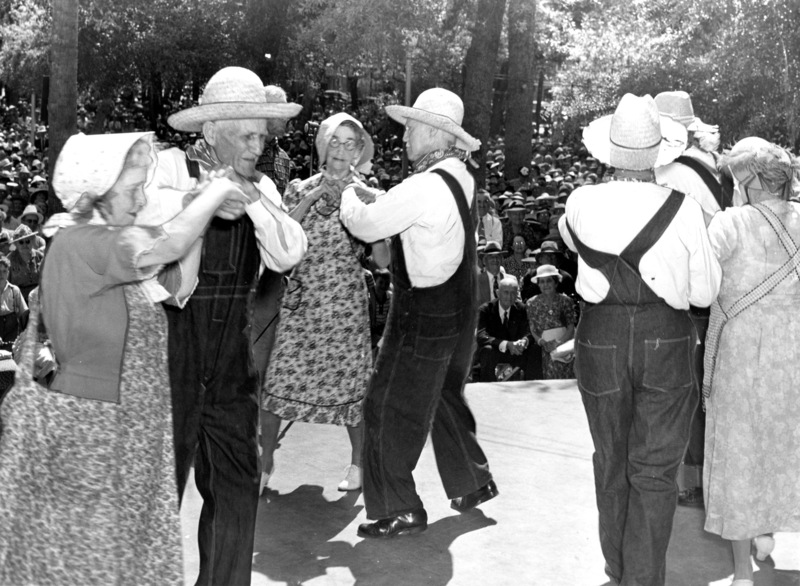 Caption: "These lively square dancers and other oldsters performing yesterday brought a Chautauqua salute of white handkerchiefs from the large audience." The performance was part of an "Old Folks' Frolic" staged by the Three-Quarter Century Club. The article lists the dancers by name and gives the caller's name as Wilbur Smith and the musicians as Joe Kelley, fiddle, and Ione Miller Brubaker, piano. 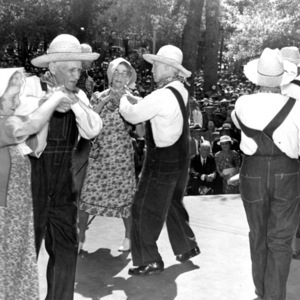 “Old Folks' Frolic,” Square Dance History Project, accessed April 19, 2019, http://squaredancehistory.com/items/show/689.